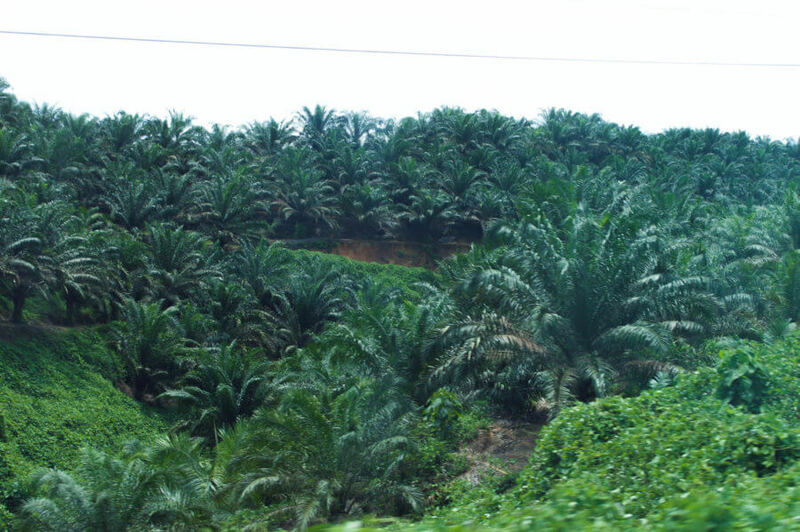 Palm Oil Plantations are a controversial issue so well known in today’s society. I was aware of the global problem before my trip to Borneo, but after witnessing the destruction first hand, my thoughts have been influenced more than ever. Palm Oil is the most consumed vegetable oil across the world. It is used in everyday products that I can guarantee you’re using; toothpaste, shampoo, cosmetics, confectionery and baked goods are prime examples of the ways we are contributing to the destruction and demolition of nature across Asia. This consumer-driven oil is an extreme culprit of habitat degradation, deforestation and unfortunately, global warming. And unfortunately, these issues are far from minor… They are global problems that are bound to impact the population, the animals and the environment in dramatic ways if they’re continuously refused to be resolved. The beautiful Malaysian state of Sabah is a dramatic contributor to the amount of Palm Oil consumed across the globe. The palm trees used to create the oil in this country are not native – they were imported from South Africa due to the similar climate, but have since turned into a globally consumed product that has taken over the world. Oil palms produce a fruit that is taken from the tree every 2 weeks. The fruit is removed using a sickle knife on a large pole and pulverised into an oil. 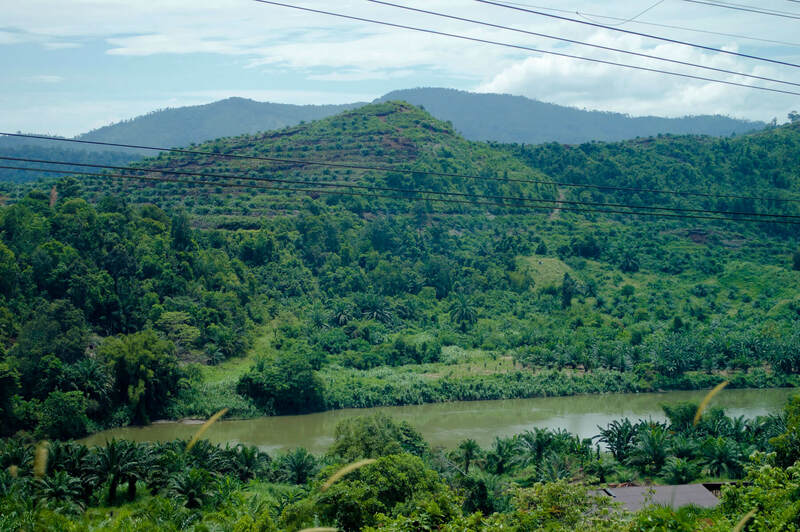 This is where the complications come in… To the locals of Borneo, these plantations are a symbol of hope. The sheer amount of labour needed for a solely hand-driven process means that majority of the population have access to a job. Unfortunately, the negative implications are out of mind; these people are simply in search of a decent income. 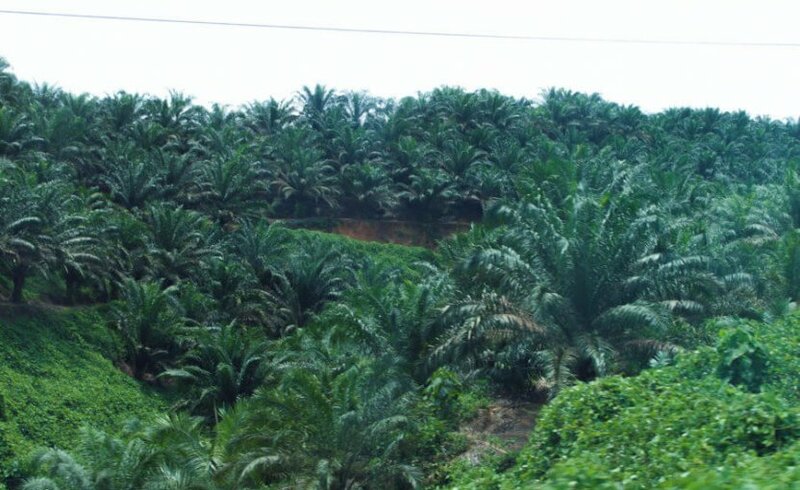 44% of the state of Sabah is consumed by Palm Oil Plantations. There is no hiding the fact that this issue is swallowing the state by the whole. Sabah is 73,631 km² in size, meaning that over 25,000 km² of luscious jungle, farming and wildlife habitat have been completely destroyed for the consumer. Not to mention that the local animals of Borneo are decreasing at severely alarming rates – the Orangutan population has decreased by over 50% in the last 16 years… Their habitat is being lost by hectares, the Kinabatangan river is being polluted by sediment and silt, and their beautiful species are going to be critically endangered before the click of our fingers. Orangutans and Pygmy Elephants are frequently found wandering through the plantations in confusion of their whereabouts, they are taken from their environment and forced into potential confinement and rehabilitation. Proboscis Monkeys are in sanctuaries to keep their groups alive. Orangutans are starving at the loss of their habitat. And Pygmy’s are being poisoned and killed for wandering into plantations. It’s terribly sad that this issue is all a result of the consumer and these corporations. If things continue in such a destructive manner, these animals will be extinct in the next 5-10 years. After personally witnessing these beautiful, timid creatures enjoying their life in the wild, I really am struggling to understand the logic behind the constant devastation. Whilst on our drive from Kota Kinabalu towards Sandakan, we were warned about the Palm Oil Plantations. I was aware that the drive was not going to be the most scenic after a certain point, but what I was faced with was far worse than my expectations. On a 5-hour drive through what used to be consumed by rainforest, was now completely and utterly consumed by continuous plantations. Plantation, after plantation, after plantation… To the point where another species of tree was yet to be seen across the kilometres of hills in sight. As far as the eye could see were straight lines of palm, damaged terrain and freshly planted crop. I spent the entire journey completely confused by the backbone of this madness. The tens of thousands of kilometres now submerged by palms used to be lush, rugged rainforest full of wildlife and a world like no other. Now, there is nothing left but a total man-made mess. Our cruise down the Kinabatangan river really brought the reality right up to my nose. The palms were pushing through the rainforest and onto the banks of the river. One minute we were stopped looking at families of Macaque, Proboscis Monkeys and a gentle Pygmy Elephant, and a few metres down was the start of a plantation. I really do fear for what will happen next. I fear for the day that these animals will be completely out of hope. As heartbreaking as it is, it really made me realise that we – the international buyers – are the entire problem. The residents of Borneo merely want to survive, grow their country and live a life worthy of living. The goal for Malaysia is to become a ‘developed’ country by 2020, and unfortunately, at this rate, that will fail to happen without the production of Palm Oil; it is the #1 form of income for the state of Sabah, and #5 for the country of Malaysia. They truly believe that in the future Palm Oil will replace all fossil fuels. They believe it has completely shaped the country they now call home, and that it will continue to as things consistently grow. It’s a difficult situation when the people’s lives are dramatically improving, whilst the wildlife and environment drastically diminish. This trip has really torn me in two. On one hand, I see incredibly beautiful, endangered animals soon to be extinct due to habitat degradation. On the other, I see locals who don’t want to be a developing country any longer. They, of course, don’t want their native animals to be just a symbol in a museum, but they really do see these plantations as hope for the future. A piece of hope that their home will begin to form into a country like those that you and I come from. Since this trip, I have wholeheartedly been torn between the decision of humanity and the environment. Palm Oil itself is not a bad product, it’s the way that it’s being processed that it the problem. I am the biggest lover of animals and nature, but as someone who has experienced extreme poverty too, the decision between people and wildlife really is heartbreaking. I never want to make that decision, and I wish that was never the case. To start with, I really do think we need to reduce our Palm Oil consumption. Companies need to start sourcing their Palm Oil sustainably, without any slip-ups, and only then will this problem be resolved. Deforestation has to stop. I’ve made the decision to try and remove Palm Oil in every way that I can. And in the meantime, this is a discussion that really needs to be had. There has to be another way for a developing country to improve its economy, living standards and overall wellbeing, without creating such a global and completely toxic issue. Throughout my entire trip, I was feeling utterly hurt for the beautiful animals whose lives were eventually going to come to an end. I really did leave this beautiful part of the world with an extremely confused head, and an even heavier heart. Is this destruction even necessary after all? I think not. Go Palm Oil Free. 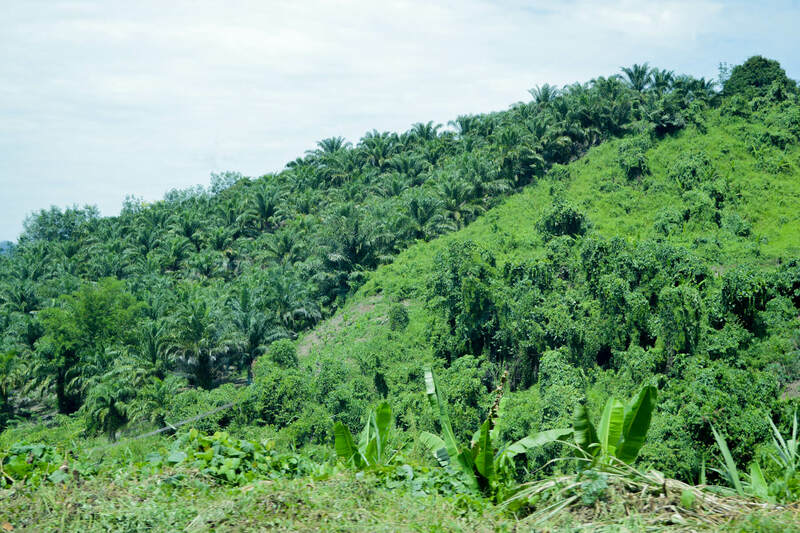 There is no such thing as “sustainable” or “Ethical” Palm oil. It’s a ruse… it’s a marketing ploy to get us to buy a companies product and feel like we are doing something good. 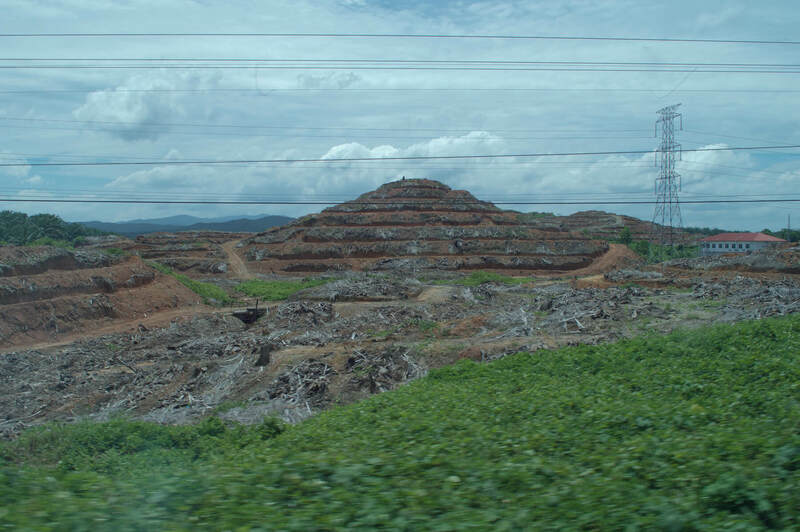 The only thing “Sustainable” Palm oil sustains… is the Palm oil Industry. Indonesia and Malaysia are rapidly disappearing under Oil Palm Trees. 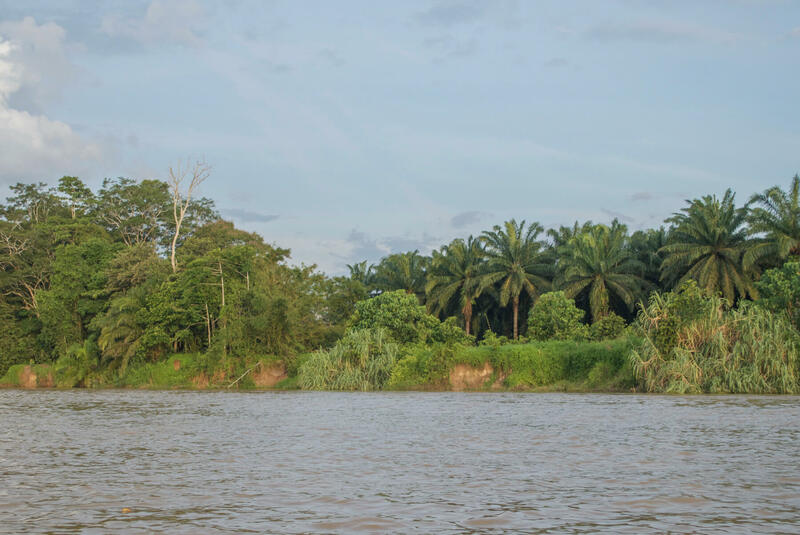 Indigenous peoples lands are taken from them so more Oil Palm Trees can be planted. Workers are lured there, from other countries, with promises of fair wages and healthcare. Once there their passports are often taken and they are forced to work 12 hour days for $6.00 a day. And… they don’t get healthcare. The Haze, created by the fires that are set illegally to clear Rainforests and Peatlands, kill tens of thousands of people and tens of thousands of animals every year. Peatlands being the worse CO2 emitters. And the atrocities go on and on.